The Transporter returns rebooted, recast and rehashed. In the south of France, former special-ops mercenary Frank Martin (Ed Skrein) enters into a game of chess with a femme-fatale (Loan Chabanol) and her three sidekicks who are looking for revenge against a sinister Russian kingpin (Radivoje Bukvic). 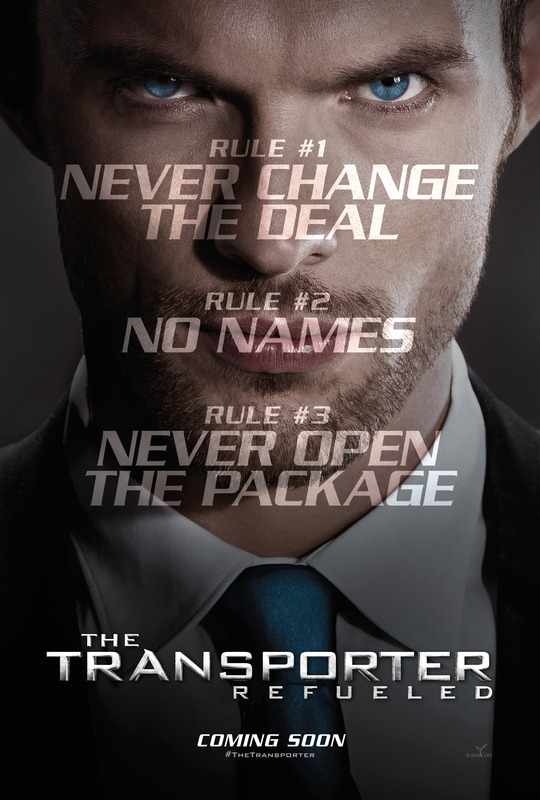 I can remember watching the first Transporter. It was violent, fast, furious and with that bald chap from Lock, Stock. It was a cult action flick. Unfortunately they had to make more of them. Okay, Transporter 2 may have pushed it but it was an enjoyable thrill ride. And the less we say about Transporter 3, the better. Well, that was until I saw this. I could see why a fresh start was needed. BUT why on Earth would Luc Besson give a reboot to the director that killed the franchise in the first place? I didn’t realise how big a void Jason Statham would leave. It wasn’t just his physical presence. His deadpan style. His humour. The guy can generally make the naffest lines sound cool. The opening of this shambolic affair did everything to grab my attention with people being shot left, right and centre. It also flicked back and forth as we follow Anna (Chabanol) preparing her revenge on her handler. A plan ten years in the making. Anna was probably the most interesting character in the whole piece. Only giving Frank little tidbits of her master plan. It may have been the same old guff. The young migrant forced into prostitution after the false promise of a new life. BUT she kept things watchable. If anything, she made Frank Martin the supporting character in his own story. And the supporting ladies may have looked nice BUT they had no depth or character at all. Their sole purpose to be Stevenson’s lapdogs while they held him hostage. From the moment the “resurged” Frank Martin made his introduction, I cringed. He may have looked the part. BUT for every cool punch and kick, Skrein’s horrific delivery would spew a cheesy one liner that just sounded terrible. It was laughable for all the wrong reasons. The car park scene (A complete rip off of Transporter 2 by the way) was cliched to death. The story line was terrible. What didn’t help was the shoddy time frame. The writers’ maths must have gone out the window because this film was set in the year 2000. Considering this was supposed to be a reworking into the present day? Hmmm . . . By the end though, I couldn’t care less. One thing director Camille Delamarre can deliver is set pieces. His only saving grace. The airport sequence was sheer bloody bonkers. The car chases were fast and furious. Even if the bank heist opener was a complete rehash of the first film. The only thing that infuriated me was the use of CGI. It wasn’t needed. It just spoiled the stunts for me. It didn’t help that for every decent set piece, there was a hammy piece of dialogue or dull storytelling. Martin slamming his Audi into crawl mode and beating up all the baddies blocking his way. YES! Bickering to his dad about women and being late. NO! That’s what really annoyed me. The Stath’s Martin tried to stick to the rules. Skrein never did. He kept changing the rules and was late every time. The iconic character’s gimmick and they messed it up. Gutted. Chabanol and Skrein didn’t work too badly. They had good chemistry BUT I felt their love scene was forced. It was rushed and wasn’t necessary. Just like Stath and Shu Qi’s little tete-a-tete. Any excuse for a bit of skin. I liked the mystery around Martin in the original. I could respect the attempt to bring in a different angle to his character BUT it just didn’t work. The endless bickering and “banter” between Skrein and Ray Stevenson’s father figure was terrible. It just made me miss Francois Berleand’s Inspector Tarconi. And Stevenson? What on Earth was he playing at? I’m sure he had fun and gave it a good old go. BUT he came off as a right old lech. Radivoje Bukvic was a terrible villain. He failed to make any real impression. To be honest, Noemie Lenoir’s character did a better job. And no! Not just because she’s a model. I actually thought she was running things. She was doing a whole lot more than him. And put up more of a fight! A steaming mess. I think they should let this sleeping dog lie. Laughable and cringe-inducing. If not for some cracking action scenes and one interesting character, this would have got nil points from me. A rebooted franchise that was never needed and never wanted. No Stath? I lose faith.